Is The Garfield Show ending? Recently, head writer and supervising producer Mark Evanier announced Boomerang will air a shortened fifth season of the animated series. 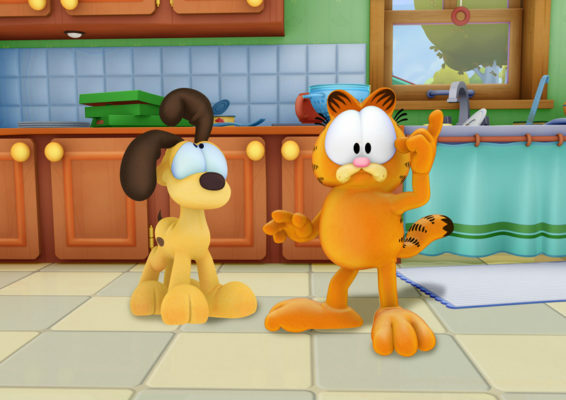 Based on the comic strip by Jim Davis, the CGI show follows the adventures of Garfield, Odie, and their own Jon Arbuckle. The voice cast includes Frank Welkner, Gregg Berger, Wally Wingert, and Julie Payne. On his blog, Evanier revealed season five of The Garfield Show will be a four-part, one-hour special titled “Rodent Rebellion.” The special airs today on Boomerang as part of a two-hour Garfield event (check your local listings). What do you think? Do you watch The Garfield Show? Do you want a sixth season? I love the show please don’t cancel it. It’s very fun and entertaining to watch Garfield because it always makes me laugh. I love watching Garfield everyday please don’t cancel it. I’m so sad that the Garfield show may not continue. It’s one of my special programs to watch early in the evening…Please continue, even if you show re-runs.